Messenger Kids allows kids to send photos, videos or text messages to their parent-approved friends and adult relatives. 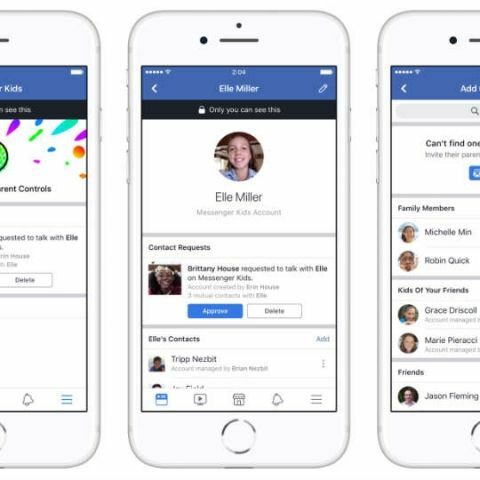 After talking to thousands of parents, associations like National PTA and parenting experts, Facebook found that there's a need for a messaging app that lets kids connect with people they love but also has the level of control parents want. "In addition to our research with thousands of parents, we've engaged with over a dozen expert advisors in the areas of child development, online safety, and children's media and technology who've helped inform our approach to building our first app for kids," Cheng added. Facebook also had thought-provoking conversations around topics of responsible online communication, parental controls and much more where the social media giant heard first-hand how parents and caregivers approach raising children in today's digitally connected world. Parents can set up Messenger Kids account in four steps. First, download the Messenger Kids app on your child's iPad, iPod touch or iPhone from the App Store. Then, authenticate your child's device using your own Facebook username and password. This will not create a Facebook account for your child or give them access to your Facebook account. Now finish the setup process by creating an account for your child, where all you'll need to do is provide their name. Then the device can be handed over to the child so they can start chatting with the family and friends you approve.